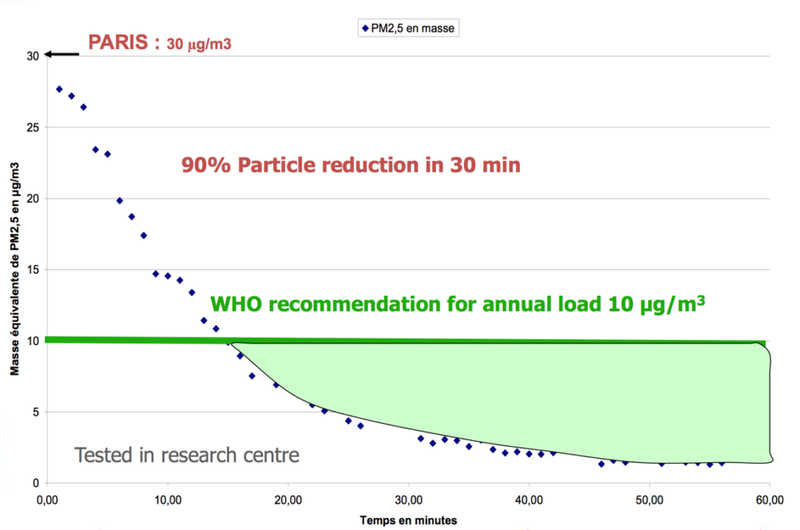 Graph shows how CIAT’s Epure Dynamics reduces the concentration of particles with a diameter < 2.5 µm in indoor air over a 60 minute period. CIAT UK is introducing Epure Dynamics®, a new indoor air quality (IAQ) system designed to deliver exceptional comfort conditions with an assured level of air purity for building occupants. CIAT is a part of UTC Climate, Controls & Security, a unit of United Technologies Corp. (NYSE: UTX). 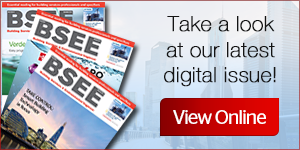 Epure Dynamics uses a network of calibrated air quality sensors connected to a Smart CIATControl system to continuously measure the concentration of particulates in the air. 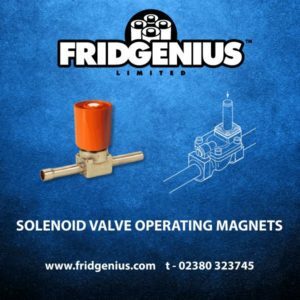 If the concentration measured in a space exceeds a pre-set level, the system activates the unit’s purification mode, switching on the Epure filtration system, which has a filtering surface 11 times greater than that of conventional filters. In purification mode, the unit continuously recycles and filters the air until air quality achieves the desired level. The cleaning process normally takes from a few minutes to half-an-hour, depending on the volume of the space and level of contaminants. The high-purity filters used in Epure Dynamics have a surface area 11 times that of conventional filter systems. This system is an improvement to conventional air conditioning systems that may not address the problem of particulates, particularly below the size range <2.5µm, considered to be most harmful to human health. Some air systems draw particulates into a building from outside, which can be a particular problem in urban areas with emissions from traffic, and areas with airborne industrial pollutants. Closed-system air conditioning systems may not have this problem, however they continually recirculate airborne particulates already within a building, and repeatedly expose occupants to new particulates that are constantly being created in occupied spaces. Use of a fine F7 filter on the building’s main fresh air intake will stop around 70 percent of particulates with a diameter < 2.5 µm. However, airborne particles generated inside a building cannot be processed by the air handling unit in this way, and therefore build up within it, posing a potential health risk for occupants. 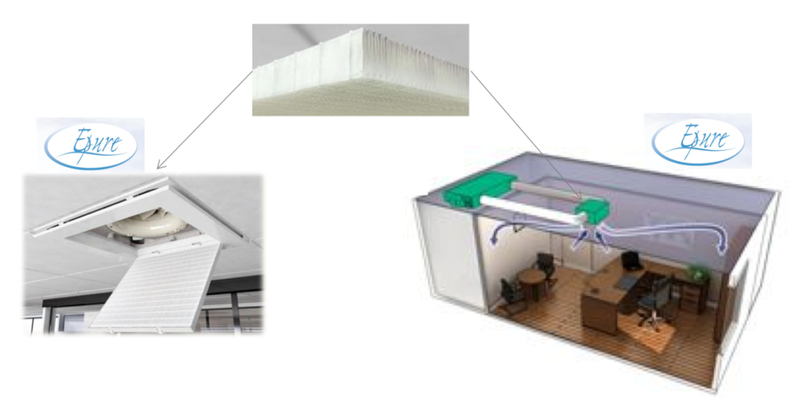 Epure Dynamics overcomes these problems with a highly-effective and dedicated purification unit equipped with high-purity filters, that —when triggered by its network of sensors— quickly removes particles from contaminated air throughout the building. The unit is able to tackle contaminants both drawn in from outside and those created within the building. 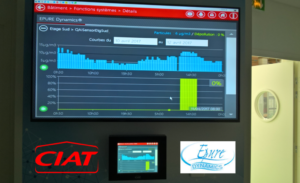 The graphical display constantly shows contaminant levels in indoor air and how the Epure Dynamics system is activated to restore air quality. 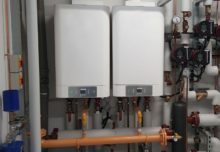 Because purification mode is only activated when required, energy consumption by the air conditioning and cleaning system is minimised, ensuring both high-quality indoor air and low-energy consumption and running costs. 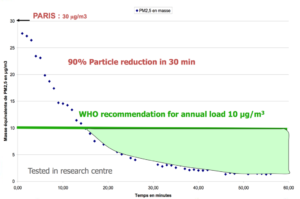 Since being introduced in France two years ago, the fine particulate sensor has proved to be highly stable, with no deviation from its original calibration. 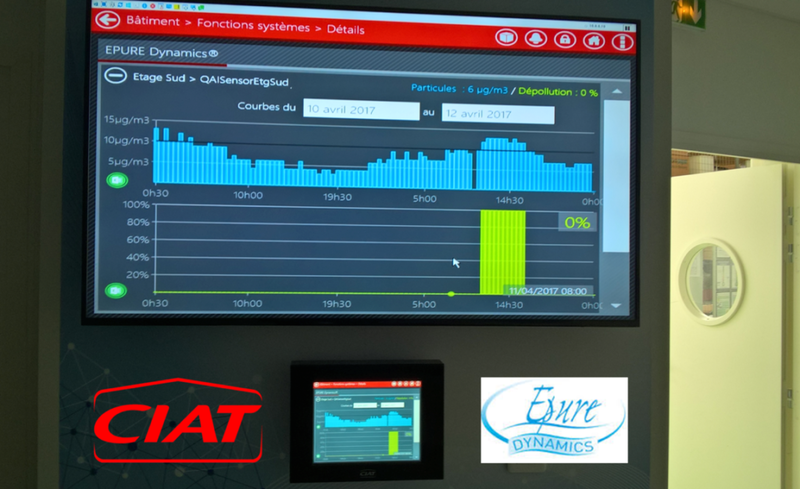 The Epure Dynamic indoor air quality control system is available on CIAT fan coil units and ducted units. CIAT is one of Europe’s leading names in cooling, heating, and indoor air quality. Renowned for its capacity to create innovative, durable and high-performing products, CIAT offers a complete range of equipment that is designed to work together. CIAT latest innovations have been specially designed to meet the most demanding requirements. CIAT is a part of UTC Climate, Controls & Security, a unit of United Technologies Corp., a leading provider to the aerospace and building systems industries worldwide. For information, www.ciat.uk.com.